Had a slow start to your January? No problem, we’ve got classes starting in the next couple of weeks, plenty of time to sign up and learn something new! We also have a ton of QnA times if you have a project you are stuck on, just give us a call! 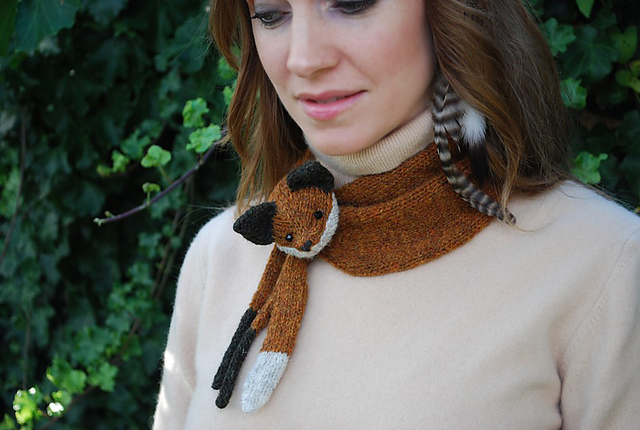 This whimsical stole is reminiscent of the foxes round the ladies of the 1940”s. Deanna walks you through the steps and techniques to knit this vintage piece. Learn the basics of crochet with stitches such as the slip stitch, single crochet, half-double crochet double crochet, and the triple crochet, increasing and decreasing, and crocheting in the round. You will also learn chaining and working back and forth in rows from a foundation chain. If time allows, basic pattern reading skills will be taught. Most will have time to start some sort of beginner project, or you can make swatches and turn them into a scarf in the end. Supply requirements: crochet hook 5mm; DK weight yarn (wool or acrylic is best, opposed to cotton or novelty yarn. Have fun learning the basics of knitting. This is a techniques based class where you will learn to cast on/off, knit and purl for the first time, or if you have learnt years ago but need a refresher this is the class for you. It is always encouraged to start a simple and easy project in this class that will help solidify the techniques in practice and teaches pattern reading skills. Supply requirements: For first time learners, any chunky yarn & 6mm; or yarn for a project of your choice (we can help you during class time pick the appropriate yarn/pattern/needles). 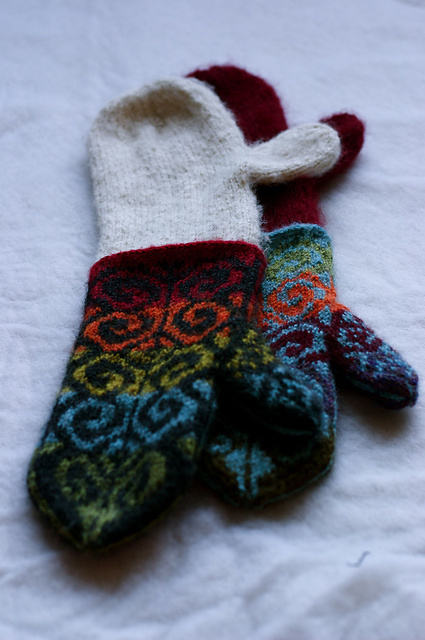 These classic Fiddlehead Mittens are super popular and fun to knit! Alexa takes you through the techniques of Fair Isle and chart reading. This fashion foward hat suitable for both men and women is a great knit for your self or as a special gift; just in time for the cooling weather and holiday season. 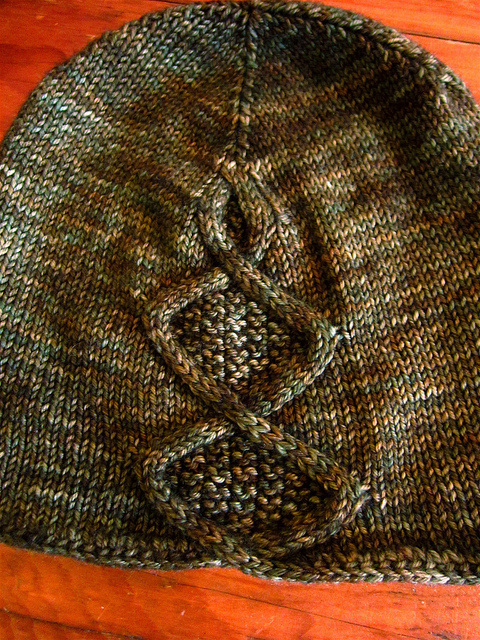 Join Michael as he walks you through the techniques needed to knit this perfectly slouchy hat, like i-cord cast on, and basic cables. Knit this timeless cable sampler pillow to add the perfect accent in any room. Knitted décor always adds a soft, beautiful look to any space. Learn the basics of cabling creating a 4 square pillow and solid back. Supply requirements: 18 st gauge yarn in a light colour 500 meters (250m for front & 250m for back. & pattern sold in store. Let’s have fun knitting and learning the basics, making a simple garter stitch scarf or fingerless gloves or little simple animals. All levels welcome from learning to knit for the very first time to pros! Supply requirements: first timers, we recommend a chunky yarn and 6mm needles; those wanting to start a project 1 ball of anything and needles to match yarn (novelty yarn is not encouraged). 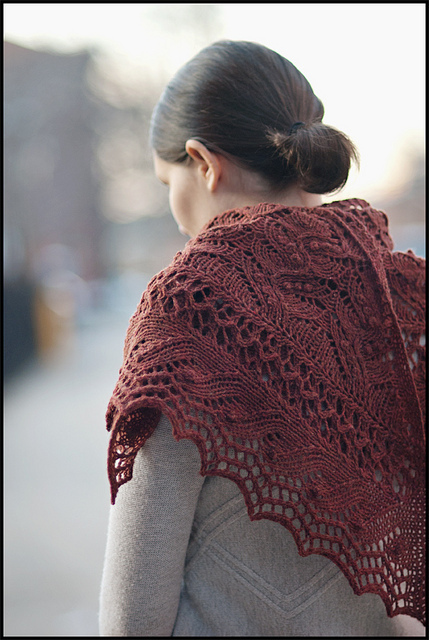 Jared Flood’s patterns are always spectacular and the Juneberry Shawl is no acception! Alison will take you through the steps of this lace pattern and chart reading. Now that you’ve learned the basic’s of knitting, and can’t wait to make a more advanced project, come join the beyond beginner knitting class. From learning to read a pattern, to finishing techniques, Sandra will coach you through the obstacle course of your first garment. Supply requirements: Basic pattern of your choice and the yarn and needles that is specifies. Got Balls? Then join us in an exclusive weekly men’s knit night. Bring your knitting or start a new project. All skill levels not only welcome, but encouraged. Let’s see how much testosterone we can drum up in a knitting store! Learn to knit a sock in just one evening! Basic knitting skills are required and knowledge of knitting on DPN’s expected. You will knit a top-down, mini training sock on 4 DPN’s by the end of the 3 hour class. An educational “Sock Knitting” handout and a free sock pattern will be included. Entrelac looks complex but the technique is easy to understand and looks impressive! In this class you will cast on and then knit 3 base triangles. Once the set up is complete we will work 2 passes across the scarf, which are the fundamental rows for knitting entrelac. Are you an avid sock knitter who wants to learn a new technique to knit up your feet warmers? Well, this might be the course for you! Alexa shows you the steps to using 2 circular needles instead of DPN’s. Brooklyn Tweed’s Ptarmigan is a simple, yet warm and lovely lace cowl knit in the round. This cowl is the perfect neck piece to transition from winter to spring. This entry was posted on Thursday, January 5th, 2012 at 6:32 pm	and is filed under Uncategorized. You can follow any responses to this entry through the RSS 2.0 feed. Both comments and pings are currently closed.